Taiwanese hardware and electronics company Acer first unveiled their 2-in-1 Black Edition Switch 7 notebook last August and it’s recently been announced that the device will finally be hitting store shelves this month. Acer is showing off the new Switch 7 Black Edition this year at CES 2018 along with other new and powerful laptops they are adding to their repertoire of high-end devices. This 2-in-1 device has some pretty impressive specs and it’s the world’s first ever fanless detachable notebook. The Acer Switch 7 is built for speed and power. It comes equipped with the powerful Nvidia GeForce MX150 graphics card along with an 8th-generation Intel Core i7 processor. It runs on the Windows 10 operating system and also comes with an optical under glass fingerprint reader that works with Windows Hello for added security. Although beefy in specs and performance, surprisingly the device weights merely 1.15 kg. This soon to be available notebook is made with a brushed aluminum body. It has a 13.5 inch IPS touchscreen display along with a pixel resolution of 2256 x 1504. Furthermore it’s packed with a 512 GB SSD and 16 GB of RAM. It has numerous connectivity options including USB Type-C Gen 2 for super fast charging, Bluetooth 4.0, WiFi, Displayport and Thunderbolt 3. Another great feature is the flexibility of this device. With it’s detachable keyboard along with AutoStand feature, Acer states that the kickstand mechanism can easily be auto-retracted and auto-deployed. 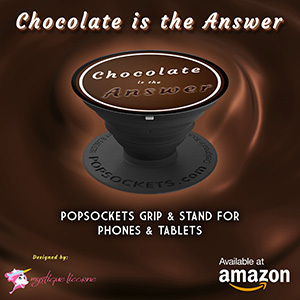 This makes the device more diverse and adjusting from any viewing angle of your choice easier than ever. Some people believe that the Acer Switch 7 has potential to rival the likes of Microsoft’s Surface Pro and the MacBook Pro when it comes to pricing, specs and overall performance. The company claims that the Acer Switch 7 will be available for purchase in the USA later this month at a starting price point of $1,699 USD. What are some of your thoughts regarding the Acer Switch 7? Is this something you’re looking forward to and would consider purchasing? Please let us know in the comments below.